The most up-to-date trekking guide to one of the world's most biodiverse nations. 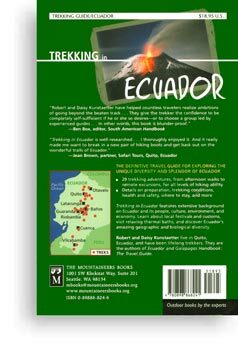 Includes a thorough introduction to Ecuador and its people. No-nonsense information on what to expect, preparations, and safety. 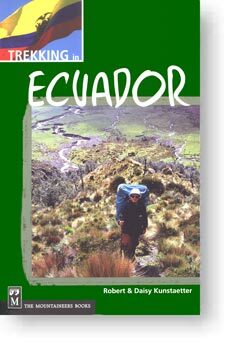 Comprehensive appendices, including lists of trekking companies, emergency contacts, and conservation organizations. See excerpts on this website. Available on-line and through bookstores worldwide. Theme quote: from Proverbios y Cantares, by Antonio Machado, 1912. Website design and cover photo: RK. Photo of Tungrahua Volcano: Patricia Mothes.